Create the latest fashion for sportswear, children's clothing, linens, furnishings and more! With the MO-735 you can develop your seamstress qualities thanks to a wide range of 2/3/4 thread overlock stitches, and it will also offer you a range of 5-thread surge stitches known as "" overjet safety "", covering 2 And 3 needles. 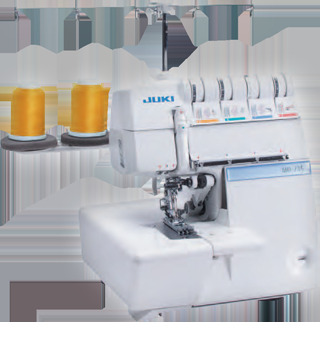 The JUKI MO-700 accepts all types of fabrics, from the lightest to the heaviest. Create perfect recovery points and more! See http://www.jukihome.com/downloads/brochures/MO-700... for more info.